Ultius Reviews: Custom Writing or Best Practices of Cheating? Ultius writing service used to be a great company. Now, it is but a pale shadow of its original paper writing self. Some customer review on Reddit, Yahoo Answers, Yelp, Glassdoor, and social media suggest that the service’s quality dropped after recent incorporation. In 2017, the company was incorporated in Delaware, which exempted its owners from personal liability for scam allegations and debt obligations. Judging by customer complaints on BBB, the company’s new legal status is not contributing to the improvement of its services. Whereas I cannot provide you the exact reasons for the agency’s shoddy performance (sites like Ultius have many incentives to stiff their customers), I can certainly explore its current state of affairs. I have investigated many websites similar to one I am about to review and learned one thing: advertising promises are rarely kept. However, before I engage in a comparison of the company’s commitments and the actual service it delivers, let me address an important question. Does Ultius go under another company name? No, it doesn’t. Ultius, Inc. is the agency’s legal name. It hasn’t been rebranded. Therefore, if you want to Google review of the company, key in “reviews of Ultius(dot)com” to get the desired results. But before familiarizing yourself with Web chatter on the matter, read this article. It details my experience of buying an essay reviews its quality, and rates the overall performance of the company. Spoiler: if Ultius is good at something it is cheating cheaters. The Ultius’ stock-in-trade is academic papers, and it provides them to customers at the much higher prices than other vendors. A high school paper with a reasonably long deadline costs $17.50 per page. If the same paper is written within 3 hours, a client will have to cough up $54 per page. Urgent writing at the master’s level is even more expensive, and, hence, inaccessible to average students – $75. Who are Ultius customers, for Christ’s sake? Pampered rich kids? Those who weren’t born with a silver spoon in their mouth might want to look for paper writing discount codes, loyalty code or promotion deals. Otherwise, they wouldn’t have much luck affording anything there. I, for one, had to use a promo coupon to pay for my paper. Being a first time customer at Ultius, I needed to sign up to the company’s application to place an order and apply the discount. Pro tip: take account security seriously. 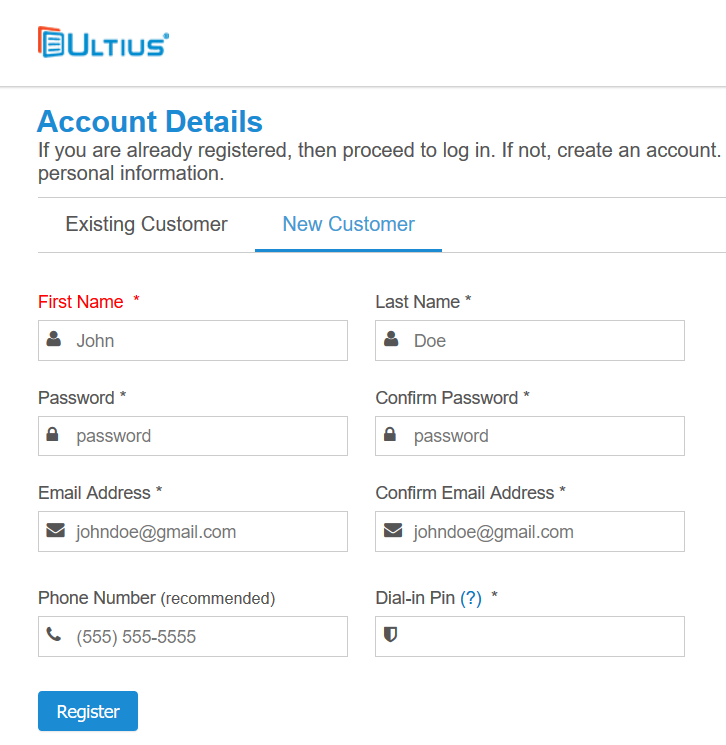 If someone finds out your Ultius login, they will have a much easier time gaining entry to your private information. Once hacked into your account, a malefactor will have access to your current and previous orders, your financial details, and other vital pieces of data you don’t want anyone to see. Given the disorderly state of affairs at the company, it is anyone’s guess as to what kind of account security users can expect. I ordered a book review at Ultius, but before I dive into the discussion of its quality, let me ask this: Has anyone ever had issues with plagiarism? Nasty stuff. Professors do not take lightly to stolen materials. The same applies to a late submission. Papers that are turned in late are subject to a penalty of a lower grade. This information can be found in any guide for students, college forum or blog. Apparently, information customarily disseminated among freshmen is not available to the company’s writers. Why? Simply because the purchased paper was late by few hours Inquiry into the issue brought me nothing but vapid excuses. It brings me to the FAQ by users of masters paper writing services: “Can Turnitin detect Ultius?” The answer stings as a bullet ant: “Yes.” As if the late delivery wasn’t enough, my paper was partially plagiarized. Where do I upload Ultius review draft to check whether it is unique? I used two plagiarism detection systems: Copyscape and Grammarly. Both of them showed that draft contained 7% of stolen materials. Can you believe? In my long history of using only academic ghostwriting, I haven’t encountered more unabashed swindle. Naturally, I felt betrayed. My initial thought was “I’m not paying for this piece of ***.” Therefore, I called Ultius writing services and tried to unclaim an order. A customer support rep offered me free premium editing and assured me that the order reassignment was in process. She claimed that a remote writer who handled urgent orders was to blame for the botched paper. The rep promised me that proper disciplinary steps would be taken. It was all well and good, but I couldn’t understand why the situation occurred in the first place. I mean, someone at the company should conduct sample paper application and cover letter reviews before hiring writers. To dissuade unscrupulous writers from plagiarizing, a random peer review of an essay or any other example of work would also help. Why doesn’t Ultius do it?! To finish this writing review, let me assign a score on the paper I got. Since the half-decently written book review was late and partially plagiarized, it scores only 2 out of 5. Shame. I was curious why my Ultius writers resources were so inadequate quality-wise. Therefore, I researched what it’s like working for Ultius (I wish I did this before deciding to drop an order). Turns out that Ultius Inc screws over writers who work there. I’ve read multiple Glassdoor reviews indicating that the writers are underpaid. Many complain that the company offers neither health benefits nor a payout for accrued PTO. Perhaps the most interesting thing I uncovered about the company was this: even though Ultius gives strikes against writers caught plagiarizing, they return later under a guise. After getting multiple strikes for using templates or stealing materials, an academic freelance writer can continue writing for the company by covering their real name. Choosing a writer name that doesn’t sound fake is all it takes to return to Ultius. Another fact about the company that caught my attention and raised my hackles wasn’t hard to find. If I took the time to read the fine print on the website before wasting my money, I would learn the following: “The graduate writer pool represents a total of 7.3%.” It means that Ultius is mainly staffed with students. No wonder, then, that my paper was plagiarized. 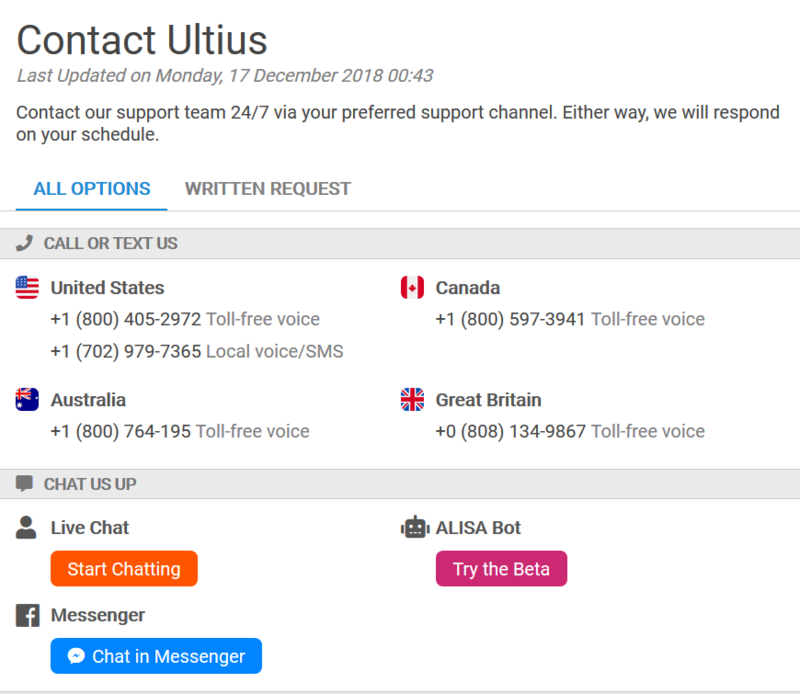 Ultius inc provides many customer support channels. One can try to resolve their issue via Ultius social media: Facebook, LinkedIn, or Twitter. It is also possible to lodge a complaint by using the following physical address of the company’s corporate HQ: 1201 N Orange ST., STE 7038, New Castle County, Wilmington, DE 19801, USA. I was incensed by the company’s shoddy service, but not the point of traveling to its location. Since the issue with the plagiarized paper was pressing, I abstained from mailing them and, instead, used the phone number displayed on Ultius Facebook page. After conversing with the customer support rep for a while, I requested a refund. She informed me that I was eligible only for a partial refund and initiated the money-back procedure. The payment arrived fourteen days after the initial pay date. For real! To sum up, the quality of the company’s customer support is fine; however, its refund processing is painfully slow. Academic fraud assistance is not an ethical or legit business model. Nonetheless, Ultius is a legitimate company. What’s the catch? It is simple: under the new Ultius policies, writing materials are provided “for model and reference use only.” Thus, the company has created a veneer of legality allowing it to operate in the Western markets. The real problem with the company is not whether it is legal, but rather how reliable it is. Client feedback emboldened by the assurance of Web confidentiality indicates that the company is untrustworthy. For example, even though a free revision policy is not a scam, Ultius writers aren’t always willing to amend their papers. Refund requests are also rarely granted. Even if it is currently not, unethical, borderline abusive, and unfair treatment of Ultius customers should be illegal. How good is Ultius? Well, the company is disturbingly devoid of any redeeming features. I paid $153 for a simple book review and got three pages of plagiarized dross. The refund request was satisfied only in two weeks. My point? 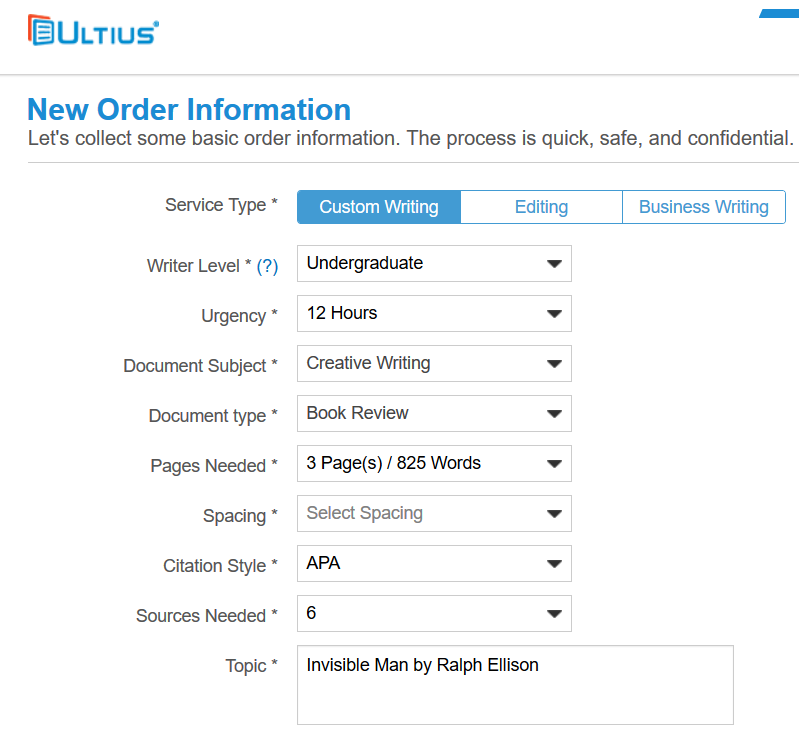 If you decide that cheating is your only recourse, don’t use Ultius paper writing services. There are much better alternatives with the quality score higher than 2.8 out of 5. Yes, you’ve read that right: Ultius’ score is only 2.8. The once great company has turned into a writing sweatshop. Sad!